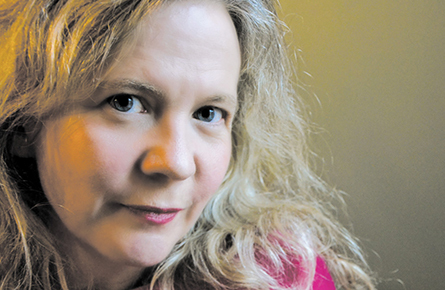 Acclaimed author Lisa Moore will read from Flannery on Thursday, Jan. 19 at 7 p.m. in the Ganong Hall Lecture Theatre. Lisa Moore is the acclaimed author of February and Alligator. February won CBC's Canada Reads competition, was longlisted for the Man Booker Prize, and was named a New Yorker Best Book of the Year, and a Globe and Mail Top 100 Book. Alligator was a finalist for the Scotiabank Giller Prize and won the Commonwealth Writers' Prize (Canada and the Caribbean), and was a national bestseller. Her story collection Open was a finalist for the Scotiabank Giller Prize and a national bestseller. For more information contact Andrea Kikuchi.